i have finally decided to take horseback riding lessons... after being horse crazy my entire life it seems a little silly that i have waited this long to actually learn how to ride. better late than never, right? today we are checking out the frost from the 2012 China Glaze Hunger Games collection, Hook And Line. i thought i'd like this one more, but honestly, it's nothing special. it's your run of the mill, traditional silver frost. it doesn't even have sparkles! it is pretty brushstrokey and it's it's difficult to keep the strokes even; you can see a couple wobblers in the swatchie. the good news is that the color is a gorgeous silver and it is opaque in two super easy coats, zero complaints in that corner! 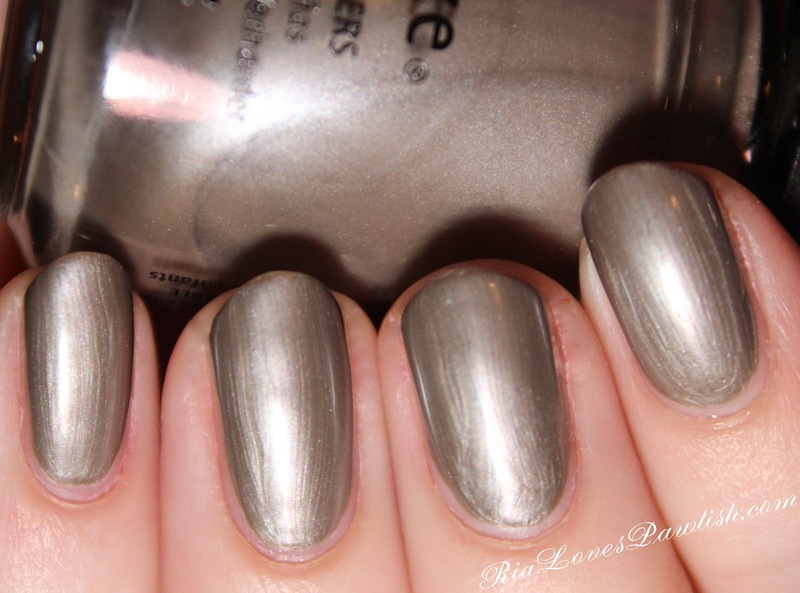 one coat Seche Base, two coats H&L, one coat Seche Vite.